How About Orange has been knocking out the Oscars posts. She linked to a great Sydney Morning Herald Oscars fashion quiz (I got 9 out of 14), created another DIY tuxedo t-shirt download, and made a beautiful set of Oscar bingo boards. Bakerella engineered amazing Oscar-themed cookies. 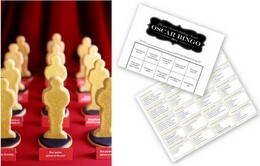 The official Oscars site has a party kit, complete with printable ballots. Mid-Century Living found Oscars party tips from the 1950s. Finally, check out Project Rungay for fashion commentary leading up to & after the awards. Plus, Viz has a nice pack of new licenses, including Fumi Yoshinaga’s Ooku & All My Darling Daughters, Taiyo Matsumoto’s GoGo Monster, and Natsume Ono’s Not Simple. Same Hat! has gorgeous scans of GoGo to whet your appetite. Lee Min Ki’s new film Oishii Man, a Japanese-Korean production, looks charming. 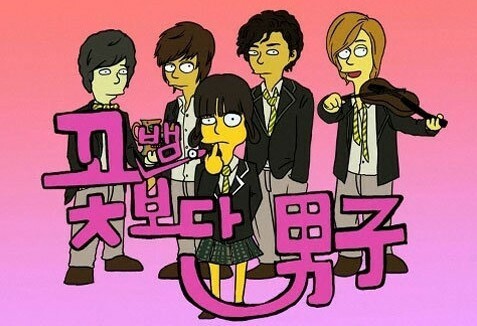 Lee plays musician who’s developed hearing problems, and ends up falling in love with a local in Hokkaido. Official release date is February 19th. As for the current Korean adaptation, Dramabeans uploaded & analyzed the scripts for episodes 1-4. 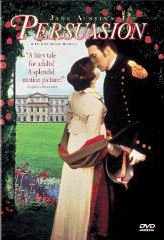 I’m deep in Austenland again, after discovering the 1995 adaptation of Persuasion . Why did no one tell me it was so good? I mean, Emma Thompson’s Sense & Sensibility level of good. If you’re a Jane Austen fan and haven’t seen it, watch it asap. It’s even on YouTube, so you’ve no excuses (I watched it there first, then promptly bought the DVD & the book). That said, I wouldn’t recommend it for people who preferred the Keira Knightley Pride & Prejudice to the BBC version with Colin Firth (I like to pretend these people do not exist, but I know they must). It’s exquisite, but in a subtle, quiet (that is, very Jane Austen) way. 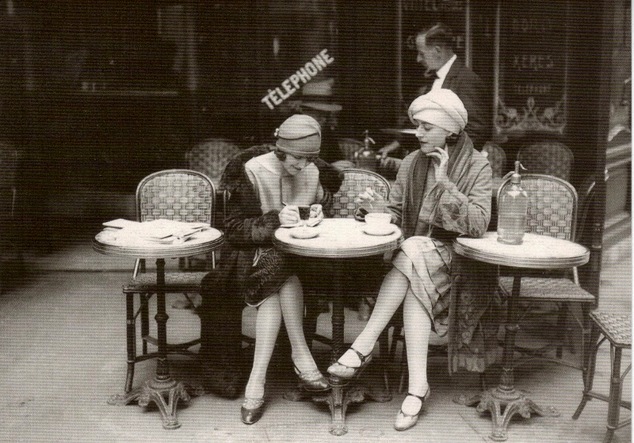 Image via Vintage Lulu, found in Flappers & the Jazz Era photo pool. One good bet is the WFUV’s The Big Broadcast, a weekly radio show featuring music from the ’20s & ’30s. Hosted by Rich Conaty, the show plays every Sunday from 8 pm to midnight; the last two broadcasts are available online as streaming audio. Conaty also has a nice set of web recommendations (via getTRIO). One commenter recommended the similar WAMU 88.5’s Hot Jazz Saturday Night, which features jazz from the 1920s through ’40s. Fans of Bertie Wooster’s singing will appreciate this set of links. Unfortunately, the official Jeeves & Wooster soundtrack has been removed, but you can still catch some of the songs on YouTube (e.g. “47 Ginger Headed Sailors“). Metafilter also has a good set of pre-1950s music links.